The language emanating from the White House concerning the fate of Syrian President Bashar Assad appeared to change last week, revealing another layer in an increasingly realist foreign policy approach from Washington. President Trump had signalled during the presidential debates that his focus was less on removing Assad and more on removing Islamic State, a policy that Assad himself unsurprisingly (if cautiously) welcomed. Last week Washington’s UN Ambassador Nikki Haley and Secretary of State Rex Tillerson (backed up by the White House) both indicated that the priority for the Administration was the defeat of Islamic State and that the future of Assad would be decided by the Syrian people (the same public position enunciated by Russia). Kevin Rudd: In 2011, as foreign minister in Julia Gillard's government, Rudd issued a media release stating: ‘We again call on Bashar al-Assad to step down immediately'. Rudd's second stint as Prime Minister came to end when his party lost the September 2013 election. Julia Gillard: In 2014, after she had been ousted by Kevin Rudd eight months earlier, Gillard said: ‘We must remain open and vigilant to opportunities and strategies that will end the suffering, end the Assad regime'. 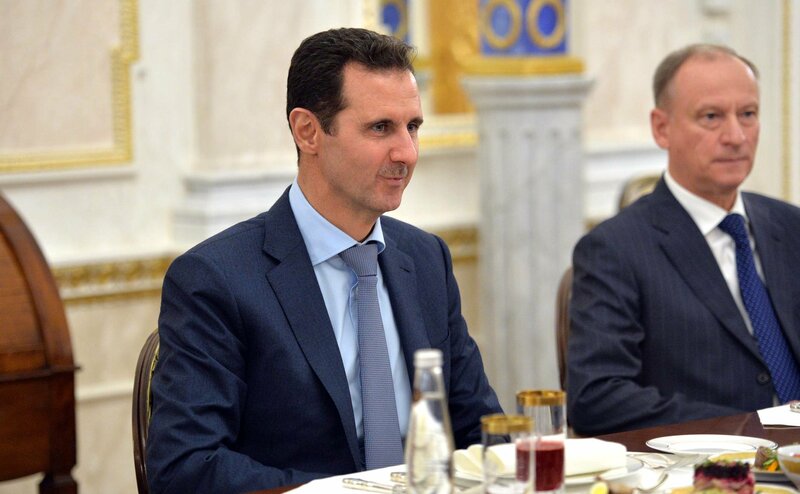 Stephen Harper: In June 2013 the then-Prime Minister said: ‘We want to see Assad depart power'. The Harper government was voted out in October 2015. The then-President Muhammad Morsi said during an Arab League meeting in September 2012: ‘Now is the time for change ... (Assad) You will not stay (in power) for longer'. Morsi was removed from power by the Egyptian military in July 2013. Nicolas Sarkozy said in January 2012 that Assad ‘must leave power’. President Sarkozy himself left power when he lost to Francois Hollande in the May 2012. Hollande told the UN General Assembly in September 2015 that ‘Assad is the origin of this problem, and cannot be part of the solution'. Hollande will leave office in May this year at the latest, if a second round is required in the French presidential election. Former Prime Minister John Key said of Assad: ‘This is a guy who has used chemical weapons against his own people, against everything else. He's got to go.’ Key stepped down as Prime Minister in December 2016. Then-Prime Minister David Cameron in July 2012: 'It is time for him to go. It is time for transition in this regime.' Cameron resigned in July 2016 after the Brexit referendum. Barack Obama in August 2011: ‘For the sake of the Syrian people, the time has come for President Assad to step aside'. Obama left offce in January this year after serving two terms as president, the maximum allowed under the US constitution.